Born shortly after the harvest of 1977, on 25th of October, my birth brought a bit more colour to this vintage. Nurtured in a wine environment, I embark on 4 intoxicating / heady years of studying the world of wine. With the BTS Viticulture-Winemaking diploma tucked safely in my pocket, I decide to extend and strengthen my professional experience in France and abroad. 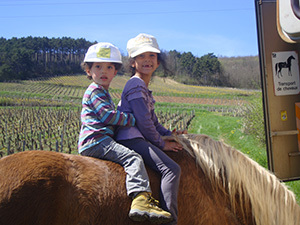 Five years later at the family domaine, I succeeded in converting it to organic status before starting out on my own property in 2006. For five generations, my ancestors have worked with the same high demands to produce pure and natural wines of quality. My great grandfather Claudius ploughed the vineyards in a traditional manner. Today, respectful of this heritage, I plough all my vineyards manually, sometimes with the help of a horse. This prevents the soil becoming compacted and aids the vine stock to take root, allowing them to extract more mineral elements, vital in expressing our amazing terroir characteristics. Ainsi la vigne puise en profondeur les éléments indispensables à l'expression de notre terroir. After tasting berries from each parcel, the grapes are hand harvested at the peak of their maturity, collected as whole berries in 20kg crates. This is crucial to maintain the integrity of the original fruit flavours. 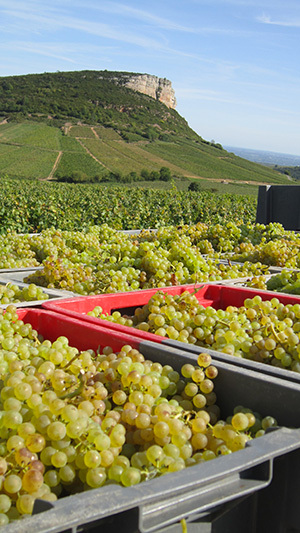 The yields are limited to 35/40 hectolitres per hectare to optimise the aromatic concentration of the wines. The juices are vinified naturally using indigenous wild yeasts, thus guaranteeing the typicity of each plot. 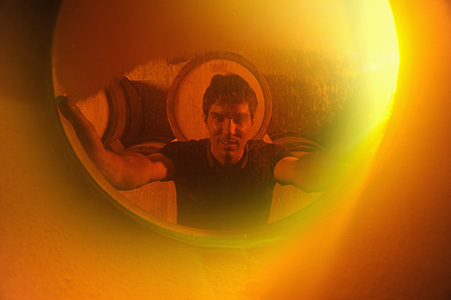 The wines are matured on their lees mostly in small barrels for 12 to 18 months. The wines are bottled without fining or filtration.